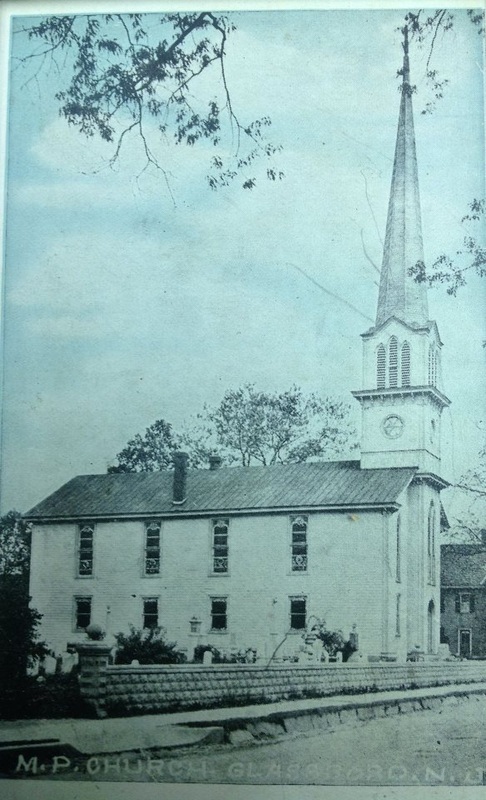 In 1829, a group of glassblowers, woodcutters, carpenters, businessmen, and their families met in an old school-house at the junction of 'Malaga Pike' (now Delsea Drive) and Main Street to formulate the plans for a church which would stand for the Gospel of Jesus Christ, and yet not be bound by the rules of a Conference or organization of higher ecclesiastics or secular men. Preaching time was irregular and often continued for several hours, despite harassment from many of the townspeople. The new church group was considered to be fanatical and 'reformers'. However, name calling, peering through windows, invading the sanctuary, and other forms of ridicule did not daunt those early settlers, and so the church grew slowly, but in strength and power. When the school authorities refused further use of the schoolhouse, the old 'pothouse' at the glassworks was fitted up for ministry. Later, the church met in the St. Thomas Episcopal Church each Sunday afternoon. Ten years later, on October 08, 1839, the people voted to purchase a plot of land in an area at the time as 'the woods'. The church paid Whitney and Warrick $140.00 for one and 34/100 acres of land. This is the same ground upon which Trinity Bible Church stands today and includes the cemetery! A copy of the original deed written on lambskin parchment hangs on the wall in the Conference Room. The minutes of August 26, 1841 record a meeting at the church of the Building Committee and member with the object "of making a full report of the erection of the said Ebenezer Methodist Protestant Church." (Sometime between 1849 and 1950, the name 'Ebenezer' was dropped, and t the church was known simply as the Methodist Protestant Church.) The report from the Building Committee read: Church Lot - $140.00; Building Cost - $676.93; Furniture Cost - $29.50; for a total cost of $846.43 plus glazing for $2.97. On May 11, 1855, the Cemetery or 'Burying Ground', as it was then called, was first mentioned because of the 'fence' needing repair. Also, a motion was made and passed to 'lay out lots, 8x16," and a map drawn of same. "Walks not to be included in the measurements. The lots were to be numbered and priced from $5.00 to $10.00 each." Around this time, repairs to the church were authorized. Paint, paper, and 'otherwise' were needed to "have the church repaired." On February 05, 1856, it was the decision of the members of the church to build a parsonage. The parsonage was to be 15'x26' with a 9' shed across the back, "same to be finished as a wash house or kitchen." This building is now the Administrative Building. Looking at the building today the it originally consisted of half the conference room, the secretary's office, plus two rooms on the second floor. Authorization was given to obtain a mortgage on the church buildings; also to cut down as many trees as necessary to provide the 'frame stuff' for the house. The wood not suitable for the house was to be "cut into cord wood and sold to aid in the construction of the new house." The building was expanded to its current dimensions in 1888. On April 19, 1871, there were two important motions made and carried, i.e. "all Secret Societies" were prohibited from meeting in the church, and the cemetery was extended North of the church. Lots were increased to $15.00. On October 1, 1872, the Sunday School was authorized to repair the basement as they saw first, and pay for the bill out of their funds. Repairs were needed in 1873 and the church was painted and 'grained'. During this year, the cemetery fence was completed. In 1876, the church was further improved by the purchase and installation of eight "lamps with brackets" in the main "audience room." 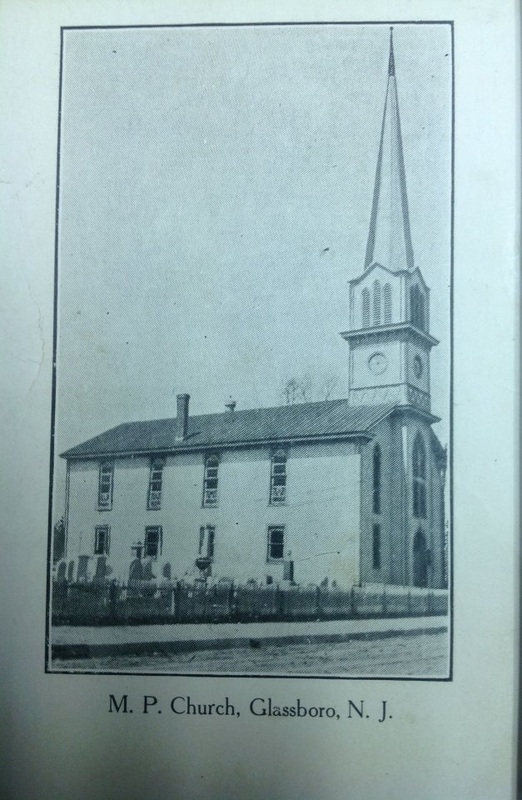 In 1883, the church building was expanded with a twenty foot addition consisting of an entrance hall with a room on each side, the stairs, the upstairs landing, the bell tower, and the steeple. In 1844, a new tin roof was installed on the church, the choir loft was "shifted out one foot" and a railing erected around the platform. That same year, the 'horse sheds' were completed. In 1889, the 'Mite Society' (the forerunner of the Ladies Fellowship) was organized. In April 1893, the Board 'resolved' that the church be incorporated and the proper papers be 'drawn up'. The choir platform was enlarged again in 1895. In August 1897, the minutes record a motion to have the steeple taken down. All were in favor of its removal. However, no reason was given and nothing was done about. In 1898, the church and steeple were painted for a total cost $265.82. The church library is first mentioned in 1898 as well. On March 5, 1899, the church was lighted by electricity for the first time. The electric bill for the first month was $3.33. In October 1902, extensive repairs and modernization of the church were completed. The stained glass windows were installed at this time. In November 1902, church hymnals were purchased, and the shutters and blinds were removed from the windows. The church reopened in December 1902 with special services. A resolution was passed that "the Main Audience Room" (i.e. the Sanctuary) was not to be used for any purpose except Sunday service without permission of the Deacons. In 1909, gas was 'put' in the parsonage and the church. Previously both had been heated by coal. In 1917, water was piped into the parsonage and the church and bathroom facilities were installed. In 1921, the 'Women's Foreign Missionary Society' (forerunner of the present Missions Committee) is first mentioned when they were given permission to conduct an evening service on November 18. On November 17, 1921, it was voted to purchase and install the pipe organ. The Ladies Aid Society (formerly the Mite Society) purchased furniture for the parsonage. On June 20, 1923, the steeple was struck by lightning and demolished. In 1924, the interior of the church was painted - pearl gray with white trim. In 1926, the hardwood floor was laid in the Lower Auditorium. The Centennial Celebration of the church was held October 14-20, 1929. 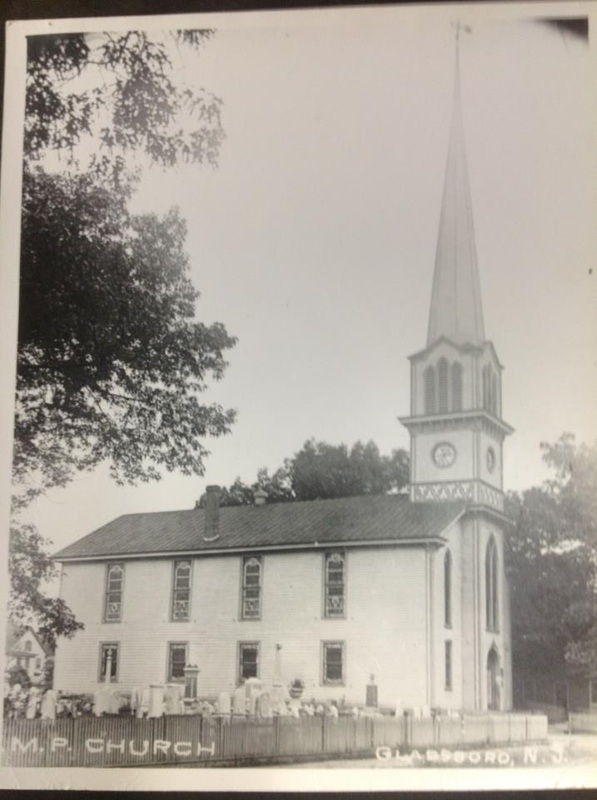 In 1937, the first Daily Vacation Bible School in Glassboro was started at this church, with teachers from nearly every church in town volunteering to help. One-hundred and fifty children attended that first DVBS. In 1939, thirty-four churches of the Methodist Protestant Conference (including Trinity) chose not to merge with the Methodist Episcopal Conference and instead, organized Bible Protestant Churches. With this change, the church changed its name to Trinity Protestant Church. In 1955, the exterior of the church was painted again and the overgrown shrubbery was removed and replaced with new. New floodlights were installed to light the front of the building. During the 1960's interest in missions was stimulated. One Prayer Meeting each month was devoted to mission and part of the opening exercises of Sunday School on the third Sunday was devoted to missions. Between 1970 and 1971, plans were drawn for the erection of the Education Wing of the church. On September 10, 1972, ground was broken and construction began. On September 16, 1973, the new building was dedicated to the service of the Lord and opened for use. In 1974, the former parsonage, which had been used as Sunday School rooms, was renovated. The second floor was made into an apartment and the first floor was converted into a conference room, study for the pastor, and office for the secretary. In 1978, Trinity Protestant Church became Trinity Bible Church. The first sermon preached on the site of the present sanctuary was from 1 Corinthians 1:22-24... "But we preach Christ crucified." While many changes have occurred since 1829, one thing has remained the same through the years: we continue to preach Christ crucified. Click here for a list Pastors who have served at TBC.